MOVE IN READY! Custom Craftsman Home by local builder. 3BR 2.5 BA Great location just minutes from I-385. 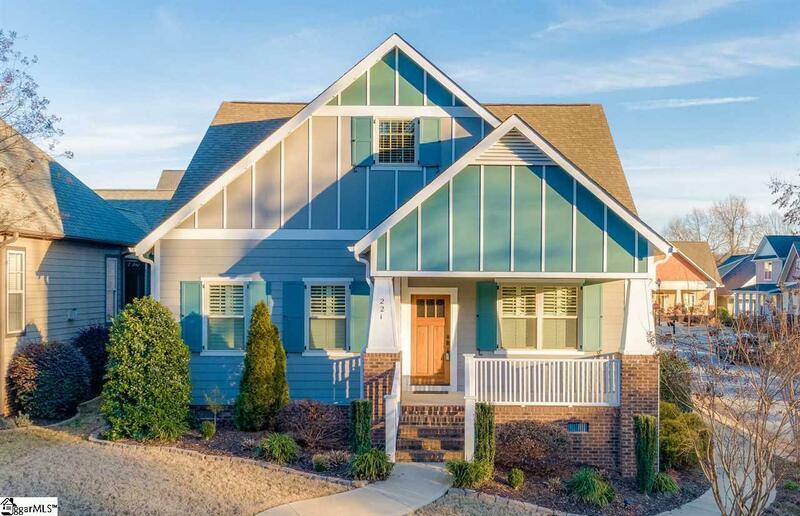 Perfectly situated on a corner lot, 221 Weddington Lane offers a beautiful hardboard siding and brick exterior as well as an interior that is sure to exceed your expectations! 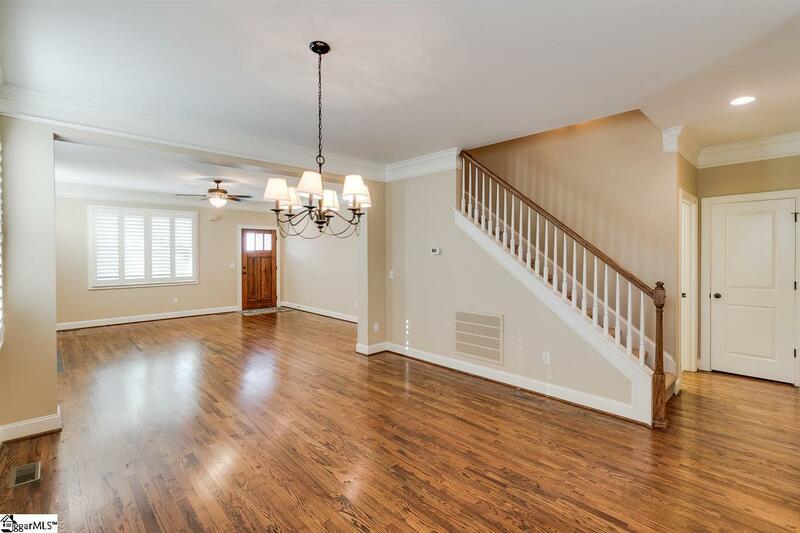 An extended front porch transitions into the homes inviting Foyer where you will find gleaming hardwood floors and heavy crown molding. A switch operated gas log fireplace will draw you into the more casual Great Room that also showcases hardwood floors, built in book shelfs, and recessed lighting. The Great Room and Dining Room both flow seamlessly into the large Kitchen where the chef will appreciate the abundance of cabinetry, granite counter tops, subway tile backsplash, two closet pantries, and sleek stainless steel appliances. The adjoining Breakfast Area features designer lighting and a glass door that gives easy access to the covered rear porch. Space and luxury combine with magnificent results in the main level Master Suite. It offers heavy crown molding, recessed lighting, soft carpet, and a Master Bath that is a spa like retreat. The Master Bath features a deep garden tub, separate custom tiled shower with glass enclosure, extended granite countertop vanity with dual sinks, and a walk-in closet that the clothes lover is sure to appreciate! A loft style Bonus Room awaits you upstairs along with two more oversized bedrooms and a centrally located hall bath with granite counter tops and shower/tub combination. 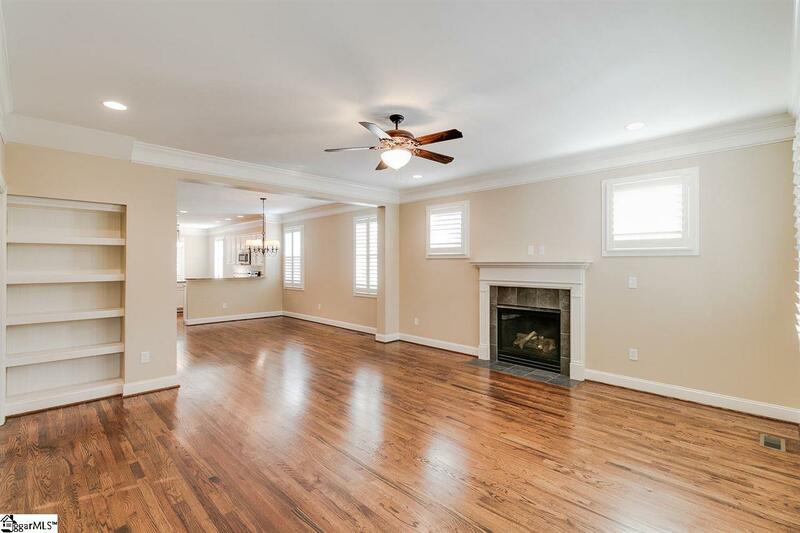 Other impressive interior details include stylish plantation shutters on first floor, 2" faux wood blinds upstairs, ceramic tile flooring, huge main level Laundry Room, powder room with granite counter tops, and storage space galore! (Including 2 walk-in attic areas) You will also love spending time on the large rear covered porch. It is designed with privacy hurricane shutters, bead board ceiling, ceiling fan, and attractive painted cement flooring. Also be sure not to miss the full site sprinkler system that keeps the professional landscape looking beautiful, and rear entry 2-car garage. 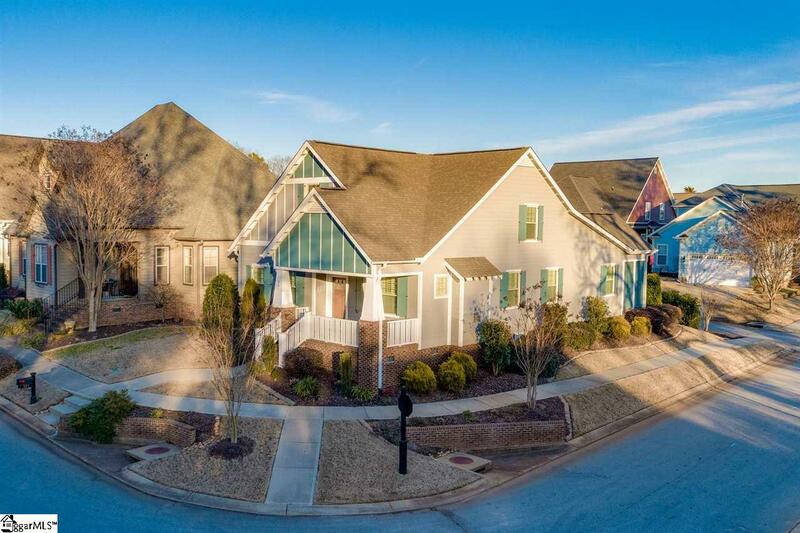 Listing provided courtesy of Micha Kelley of Bhhs C Dan Joyner - Pelham.